In 2008, Jodie Edwards' 11-month-old died after being left in a hot car for over eight hours. This is her story. In one week in early July 2013, two Canadian toddlers died after being left in hot cars, one in Alberta, one in Ontario. Cases like these happen with frightening—and increasing—regularity: multiple times every summer in Canada, and almost 40 times per year in the U.S. In Carrollton, Georgia, a more recent case involved twin sisters, Ariel and Alaynah North. The two 15-month-olds passed away tragically on August 2, 2016 after being left in a hot car for an unknown length of time. Their father, Asa North, was arrested and charged with two counts of involuntary manslaughter and reckless conduct for the cause of their deaths – their mother was in Atlanta at the time. Yet in almost every reported case, there is no intent to harm, just a simple, horrifying slip of memory, a hot day, a tragic mistake, a child left in a car. 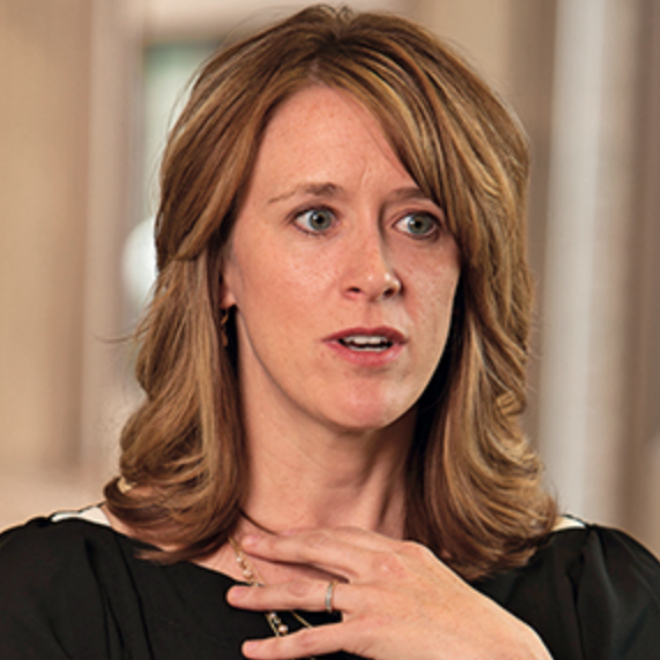 This week, Maclean’s speaks to Jodie Edwards, a college professor at a small, Ohio university. One hot, August day almost five years ago, Edwards forgot to drop her 11-month-old daughter Jenna at the babysitter’s on her way to work; she died from hyperthermia, after being exposed to the extreme heat. Q: Many of us imagine that parents who make these mistakes are scattered, and take safety lightly. Can you tell me a bit about your approach to parenting? A: My husband and I had been married for 10 years before we decided to have children. We waited until I was nearly finished my doctorate so we could focus on parenthood. Before my son was born, I read as many pregnancy, childbirth and parenting books as I could get my hands on. I saw being a mother as the most important responsibility I had. I took child safety seriously. I had baby gates at every doorway; the mini-blind cords were wrapped high, out of reach; heavy furniture was secured to the walls. I interviewed pediatricians before our son was born. I researched the safest car seats for days before settling on one with good ratings. If I heard about a safety precaution, I embraced it. Q: Had you ever heard of a parent inadvertently leaving their baby in the car? A: About a year before Jenna was born, there was a case of a Cincinnati woman who had left her baby in the car. Sadly, I dismissed it. It didn’t feel relevant—I didn’t understand how it could happen. So I never tried to understand why it did. Q: What was Jenna like? A: She was a beautiful, happy baby. She had dark hair and big, blue eyes. Almost every time I was out with her someone would stop to comment about her eyes. She was very laid-back and loved being outside. She was observant, and loved butterflies and flowers. Q: Can you walk me through the day she died? A: That day we were functioning under a new routine. I was back at work full-time for the first time that week. And all summer, the two kids had been going to the same babysitter. But that week, we had to make two stops instead of one, because my son had started preschool. After dropping my son off, I looked at Jenna constantly in the baby safety mirror, and talked and sang with her. I didn’t want her to fall asleep before getting to the babysitter’s because she’d been getting sleepy in the evenings when she missed her morning nap, and I wanted her to be awake with us longer in the evening when we got home. But halfway through the ride, she fell asleep singing to herself. I came up with a plan for how to get her into the babysitter’s house without waking her up so she could continue her nap: I’d gently unstrap her and cradle her in my arms; I’d cover her ears with my hand when we entered, so she wouldn’t wake to the noise; I’d whisper to her babysitter that I was going to put her down in the crib. I could even imagine what the babysitter was wearing. A: I understand how hard it is to believe, but somehow, my brain flipped a switch as I continued my drive to work. I believed I had done all that—that I’d dropped her off. After, I began thinking about what I needed to accomplish at work once I got there. My university’s email had crashed and I lost an important document I needed for a 10 a.m. meeting. For the remainder of the drive, I thought about what I’d do at work. I didn’t talk on my cell. I didn’t even listen to the radio. When I got to the university, I picked up my bags and walked inside. I thought about Jenna and talked about her several times during the day, never realizing I had left her in the car. Q: What happened when you returned to your car that afternoon? A: It was Wednesday, Aug. 20; the high that day was about 92 [33° C]. I was excited to pick her up, but as I began to back up, I looked in the rear-view mirror, and I saw her in her seat. I felt horror and panic as I raced to the back of the car while dialling 911; I realized then she was dead. I was so confused about why she was in the van; I looked inside to make sure no one had put my son in, too. Then I realized what had happened. It is impossible to convey the depth of pain I felt. I had to lie on the ground because all of the strength had left my body. I wanted to die. Q: How did you feel when you later heard that police were declining to press charges? A: Part of me didn’t care—how could my life get any worse? But I had a son who still needed me, a husband who still needed me. Ultimately, I was glad I was able to spare my family the trial, a jail sentence. Q: How were you treated by the community afterwards? How did media report the death? One of the first hits associated with your name is headlined: “11-month-old left in minivan dies as mother, Dr. Jodie Edwards, went to work.” That’s a pretty clear, implicit judgment. A: A very vocal segment of the population wanted me charged. Many made assumptions about drug use, or that my children must be unimportant to me. News helicopters flew over my work. I was viciously attacked in comments, on blogs. Q: Did you ever want to hide out? A: After Jenna died I felt like I was going to die from my grief. I just wanted to run far away. For many months, I was afraid to leave my house because I worried strangers would confront me. It was rare that people recognized me, but when they did they always responded with compassion. With great anxiety, I pushed myself to get out of the house, look people in the eye, and go back to work. Q: How has this affected your husband, and your relationship with him? A: It’s been so hard on him. But he’s been wonderful. He’s never been angry with me. He’s always told me there is nothing for him to forgive—that he understood what had happened. Q: How do you understand what had happened? A: Immediately after, I wanted to find out if I had a brain tumour. It seemed so incomprehensible to me. Then I started researching the brain, to find out how it could make such a mistake. Normally, the basal ganglia—that controls routine behaviour—works well with the pre-frontal cortex, responsible for new behaviours. It’s how we are able to drive and plan our day; it’s what makes us efficient as human beings. But stress and fatigue, or a break to routine, can trick the brain. The change in routine plus the detailed visualization was enough to convince my brain I had done something I really had not. Q: Did learning this help? A: [Long pause.] It helps me to understand. Maybe it helps me to forgive myself. But it’s never made me feel any better. Q: Have you forgiven yourself? A: It’s an ongoing process. I know I would have given my life for her. But knowing her death is my fault is very difficult to live with. It’s something I struggle with every day. Q: Did you and your husband decide to have more children after Jenna? A: We did. It was a very bittersweet thing. But we had a daughter in 2010, then a son in 2011. Seeing them reach milestones she never did is very painful. But the joy they bring helps us cope with our grief. Q: Do you still think of her often? A: I think of her multiple times every day. When I look at my kids, often I think of how she’s not there. Every day, when I walk out of work to my car, I think of her. Every time I put one of my kids in a car seat, I think of her. It’s hard to quantify how often—I don’t think an hour goes by that I don’t think of her, or how she died. Q: How do you cope with the anniversary of her death? A: We do something every year to remember her, to honour her life, and our time with her. Once, we released butterflies. Q: Many parents in Canada and the U.S. are being criminally tried in similar circumstances. Do you think they should be? A: Parents who unknowingly leave their children in the car are already sentenced to a life of pain and devastation. In many cases, they are vilified by media, and treated as criminals by their community. It’s enough. Q: What can parents do to prevent this? A: I always make sure to put something I need in the backseat—my purse, my briefcase, my wallet, my phone. Have an ironclad agreement with your caregiver, that he or she will call until they reach you if ever you fail to show up with your child. I keep a bracelet in my car seat. Whenever I put a child in their car seat, I put it on. I don’t take it off until they are dropped off. Check the backseat before leaving your vehicle—every time. Q: Why did you speak with us? A: I’m a very private person. Talking publicly about this is difficult for me. But I pushed myself to do it because I hope to convince parents it’s worth taking these preventative steps so it doesn’t happen to their children. Is it ever OK to leave your child alone in the car?